Bidalgo, one of AppsFlyer's integrated partners, is a leading provider of Artificial Intelligence solutions to help app marketers scale their growth. To configure your campaigns with Bidalgo - Google Ads, follow the steps below. 2. Enter "Bidalgo - Google Ads" in the search box and click the logo. The Google Ads Customer ID must be entered without hyphens. 4. From your Google Ads account, copy the Customer ID (without hypens) from the top left-hand corner and paste it to the AppsFlyer Ads Customer ID parameter as shown in the screenshots below. 5. Enter the number in the Google Ads Customer ID field. 1. To send in-app event postbacks to Bidalgo, toggle the In-App Events Postback to ON. 2. 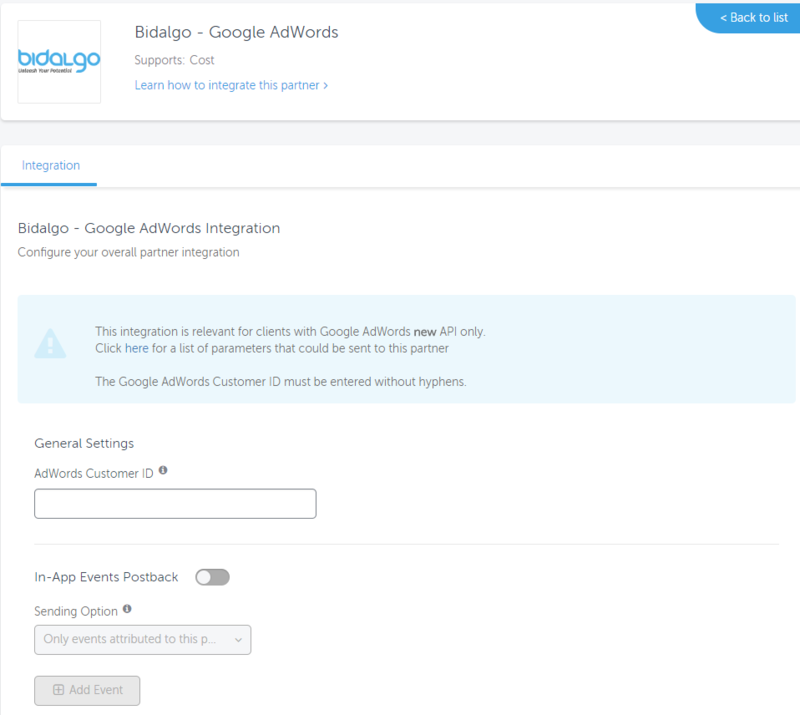 Individually add the in-app events you want to send to Bidalgo and map them to the Partner Event Identifier field. 3. Select Send Revenue to send all the parameters including the revenue value (if it exists in the event). Disabling attribution for Google Ads prevents sending postbacks to Google Ads Partners. 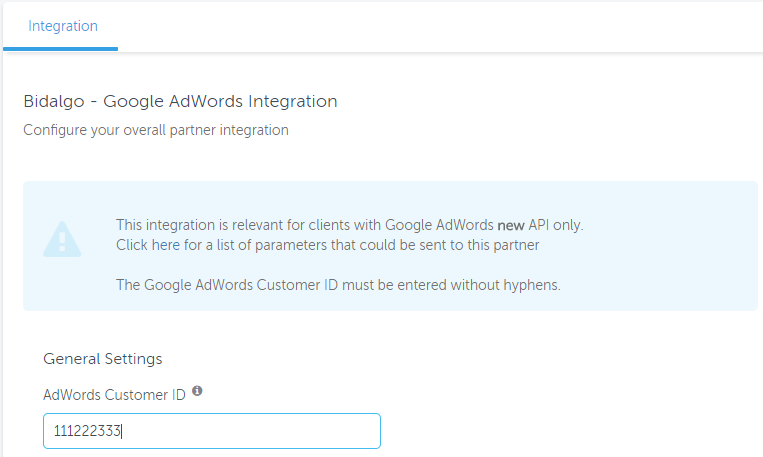 You can configure multiple Google Ads accounts (CID) to send postbacks (step 5) by separating each CID with a comma.